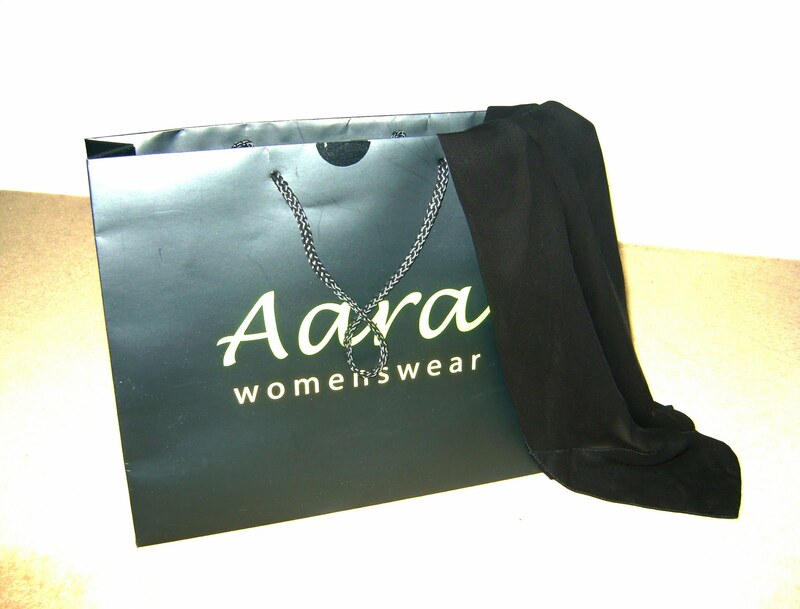 Aara is an online business specialising in black abayas for casual, everyday and occasion wear. I was sent the 2 Shades Of Black abaya to review. Before the abaya even arrived, I was impressed by the customer service at Aara. Customers are given the option of tracking their orders online, and delivery is very quick. Inside the postage box, the abaya and a matching rectangular sheyla hijab were presented inside a black 'Aara Womenswear' bag, and wrapped in yellow tissue paper. 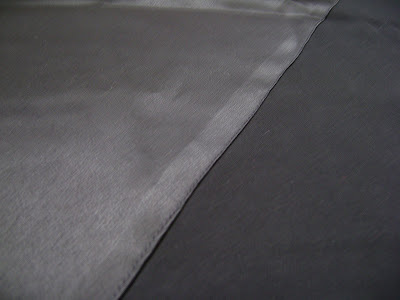 The fabric of the abaya is a Japanese crepe, which is slightly textured, so it does not cling at all. The front of the abaya at the bottom is made up of a cut of black satin which starts on the right hand side just below the hip, and cuts diagonally to about mid-calf. The ends of the sleeves are similarly overlayed with satin about a quarter of the way down. The hijab though comes in a much softer fabric and has an almost velvety feel to it, and matches the abaya with a satin trim on one corner. The Aara website provides a detailed size guide which I followed carefully. I found the sizing to be quite generous, but still tailored at the shoulders and arms, which is pretty much essential to making any abaya look well-fitting. At 5'3, pretty much everything is too long for me, and this abaya was no different. However, Aara do offer a very affordable alteration service on their website. The abaya is a slip-on with a simple popper fastening at the front, in the centre of the neckline. In terms of movement and practicality, the abaya is very comfortable and easy to walk in, and doesn't crease easily either. The satin makes the abaya a little heavy, so I personally feel this is more suited to colder months. I did attempt to take a few full-length images of the abaya, but it pretty much defeated the point as it was difficult to get the different fabrics to show up in a photo. Despite the satin, the design is a little plain, but would make an ideal everyday abaya to which you could add almost any hijab or accessories. Overall, Aara abayas are elegant, practical and affordable, and the customer service is excellent. With a large number of websites now catering to the traditional abaya market, it is hard to know which companies are reliable, but this would definitely be one of them. Regards the website though, the images provided really don't do the abayas justice, so would love to see more detailed and 'real life' images of the products. Disclaimer: I received this abaya in exchange for my honest review. The opinions and thoughts expressed are my own and I received no other compensation for my review. love the abayas, just placed an order.